The program started off with the completion of Quran recitation (Khatam Quran) session led by the Chairperson of the community association (KMG), Ustaz Hj. Mohd Anis. Then it was followed by a tazkirah session which was presented by Ustaz Fawwaz, a PhD final year student at Glasgow University who has highlighted a number of important points including that Ramadhan is the month of Quran which is the source of light and guidance for humankind. Ustaz Fawwaz also highlighted that besides the universal values, Quran is also the guidance that teaches us how to follow the footsteps of the prophets. One of the prophets he gave as an example was Prophet Yusuff a.s. (Joseph) who had to live far away from his family and also had to go through hard times including the tests of fitna. He also reminded us to focus on improving ourselves and obey Allah s.w.t. alone and never associate Him with anything else including our own self. Allah is the first and the last (awwal and akhir), the zohir and batin. The program then continued with iftar and maghrib prayer in congregation. The foods were really superb with chicken briyani from the famous Shereen restaurant of Govan Hill, and some other “pot luck” dishes from local Malaysian families. 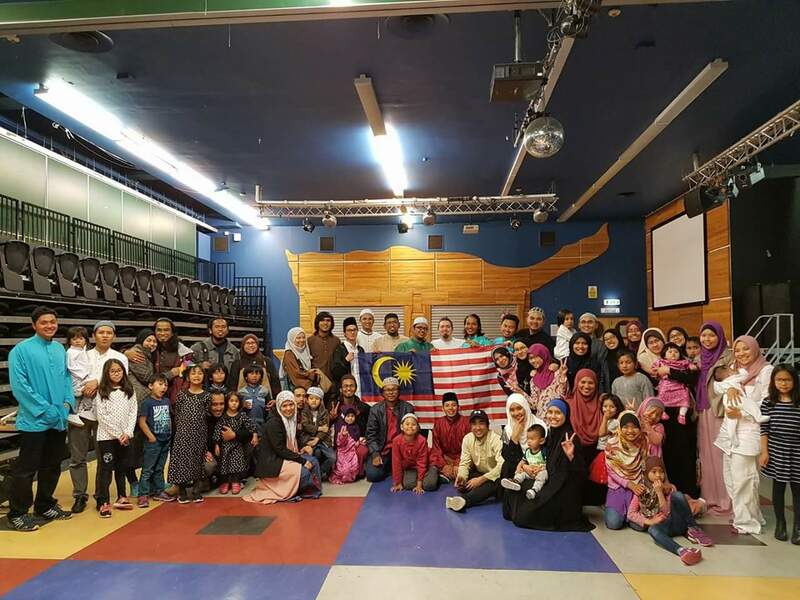 There were also some presentations by Ahmad Syahrir, Chairperson of Kelab Umno Glasgow (KUG) on Winter Umrah, sponsorships matter, Eid preparation and presentation of Khatam Quran certificate this year. All were done in an absolute muhibbah spirit among the members. Before the program was ended with heartwarming salaams and goodbyes, Hj Mohd Anis had led the Isyak prayer followed by 8 rakaats of taraweeh prayers in congregation. Finally, the committee members then distributed some leftovers to the community members before the program was adjourned. Oh, I almost forgot to show you the group photo below. Credit goes to Johanis Azizi for sharing this photo on my FB timeline. Thank you all. Alhamdulillahi alanni’mah. Posted in News and Events, Religion and Spiritual and tagged Iftar, Ramadhan. Bookmark the permalink.